Dan Muzeeyi Sserunkuuma poses with the golden boot. 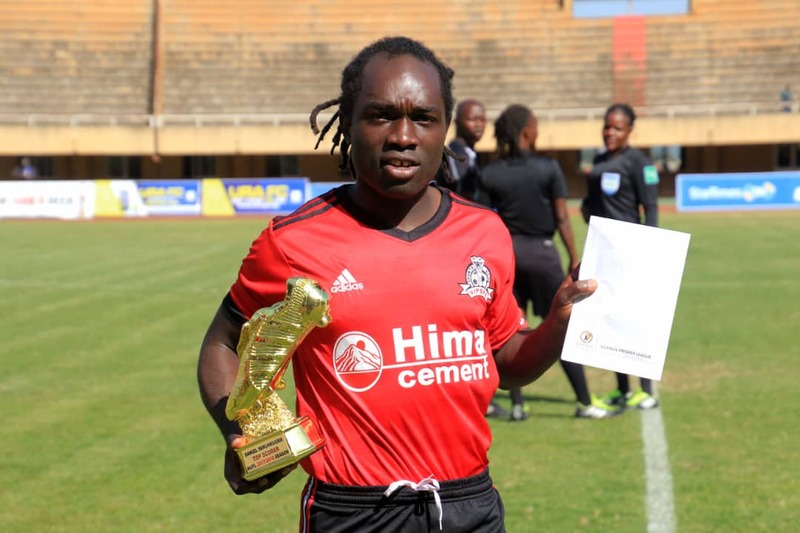 Vipers SC striker Daniel ‘Muzeeyi’ Sserunkuma has finally received his golden boot eight months after the 2017/18 league ended. After banging 17 goals including six at Express before crossing to Kitende where he saw the back of the net 11 times, Sserunkuuma emerged the league’s top scorer and guiding Vipers to a third league victory but since the end of the league in May, he had not been given his golden boot. On Friday, the marksman received his golden boot and one million shillings in cash as his team prepared to play their StarTimes Premier League game against tax collectors URA in which both teams shared spoils. “I have no words to express my gratitude for all the kind words for having finally received my 2017/18 season Golden boot. I’m very happy,”Sserunkuuma posted on his twitter account as he posed with the golden boot. The Kitende based club also congratulated their striker upon receiving his accolade. “A massive congratulations to our top marksman Dan Sserunkuuma who was today presented with his 2017/18 season top scorers Golden Boot. We love you ‘Muzeeyi’ and may God continue blessing you,” Vipers posted on their twitter account. Currently, Sserunkuuma has so far scored 8 goals, two below the chart leader Bashir Mutanda of SC Villa.